February 2015 – "A ship defines the ocean"
You can zoom and search and do all the stuff you are used to being able to do with an online map. You can see main lines (color coded by railroad), mileposts, station names, Amtrak, and even individual markers for each railroad crossing. It mostly doesn’t bother to show sidings, branch lines, etc. The station names are a bit.. off. Just in my area, almost all of them are at slightly different mileposts than the railroads’ timetables have, and some of the ones on the map appear to have been derived from a source other than the current timetable. I’m guessing the database they are pulling these from is not particularly up to date, and the railroads have moved them around and renamed them? Either that or they’ve just got bad data.We have found both situations where a line is shown without its mileposts, and also situations where the mileposts appear without the actual line they are on. 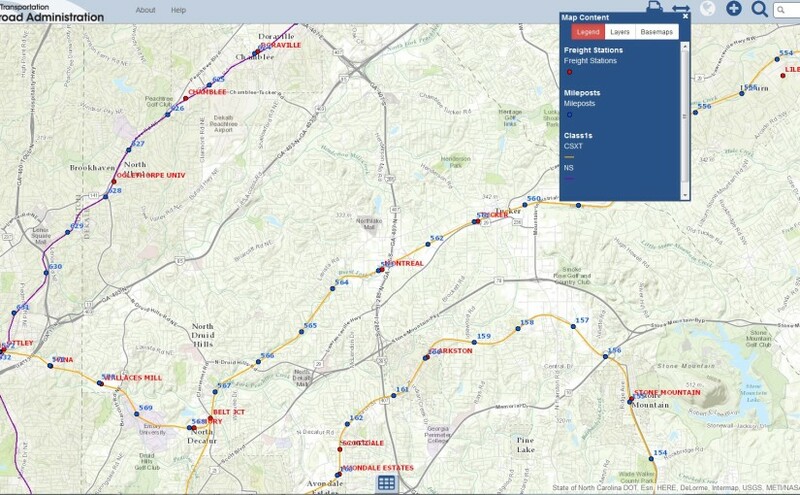 (Mobile, AL has a notable case of the latter)But still, it’s the only free online thing I’ve seen that shows railroad mileposts on a reasonably accurate map. According to bridge hunter, the bridge was built in 1906 has been closed to traffic because it is “structurally deficient”. The west side of this bridge connects with the Castleberry Hill neighborhood. 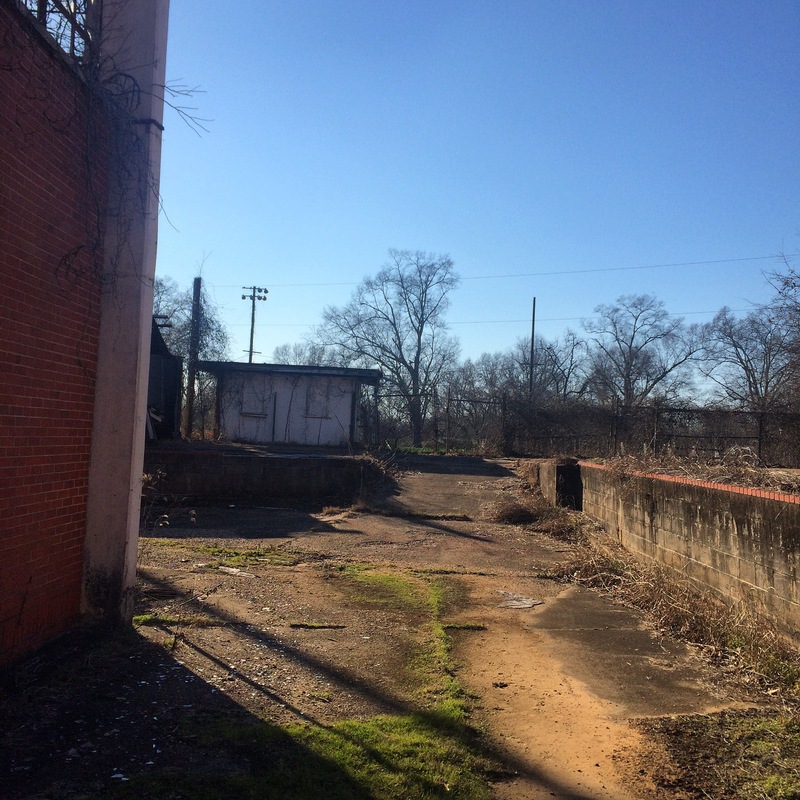 An earlier wooden bridge in the same spot may have been the first such overpass in the city, predating the massive number of viaducts and buildings over the tracks that since defined downtown Atlanta. A bit of reading of local news articles suggests that the city intended to tear this bridge down after completing renovations/rebuilding of the nearby Mitchell Street. But that was finished in 2012, and here we are three years later and the old bridge is still standing, in use by pedestrians if not by vehicles. Of course having a big fancy new train station would be fun too, but.. whether or not it’s ever going to happen is a big “if”. Amtrak doesn’t want to have to run their trains down there because it’s not actually on their route. 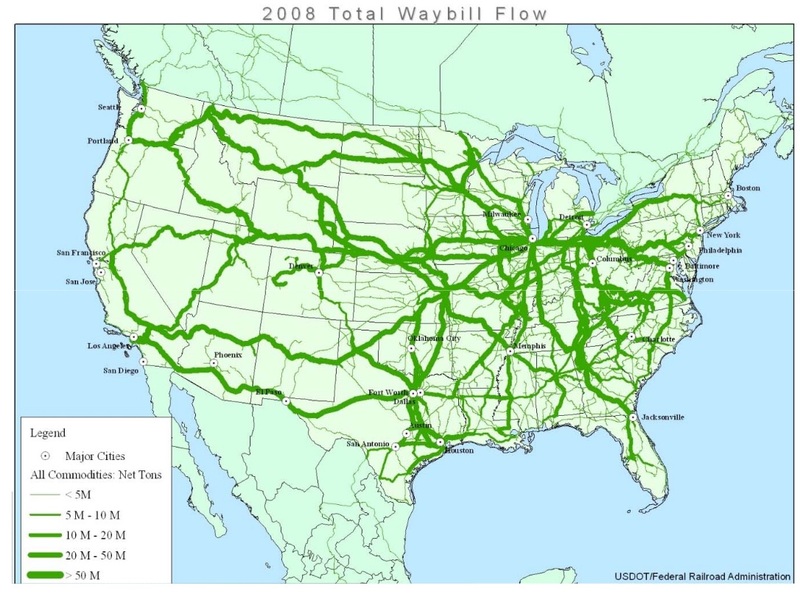 The freight railroads don’t want passenger trains running down there because they have enough trains already. 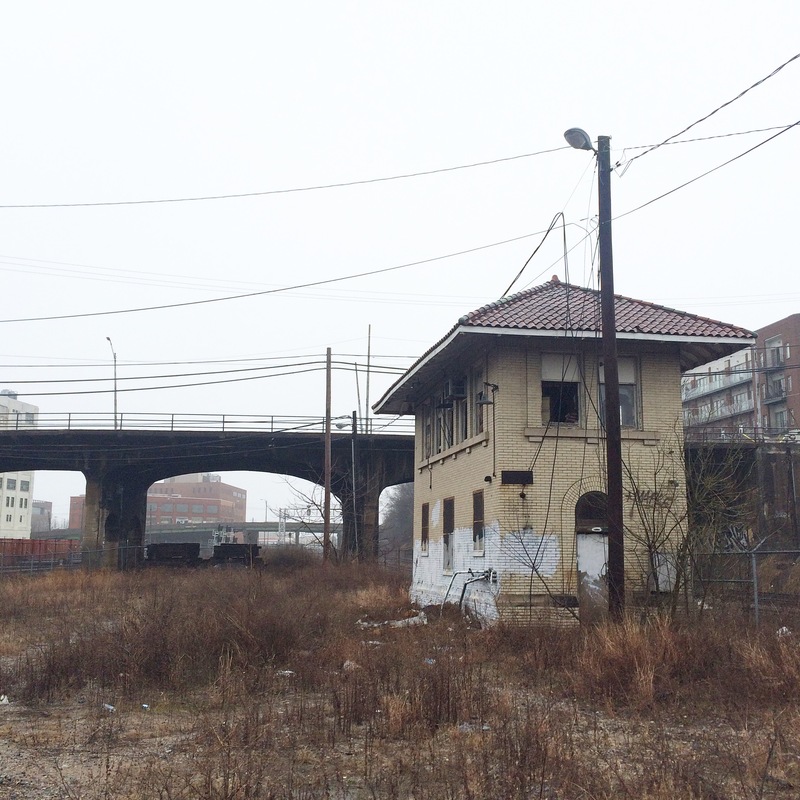 Considering that commuter rail has been “coming” for the entire 15 years I’ve been in Atlanta, I don’t see any of this happening any time soon, so we may have the urban decay aesthetic to enjoy a while longer. Those of you who remember me as a foamer in college would be surprised at this, but I’ve been quite lax in the train watching hobby for a while. The last time, until recently, that I regularly out with a scanner looking for trains was in the early 2000s when I worked in midtown. 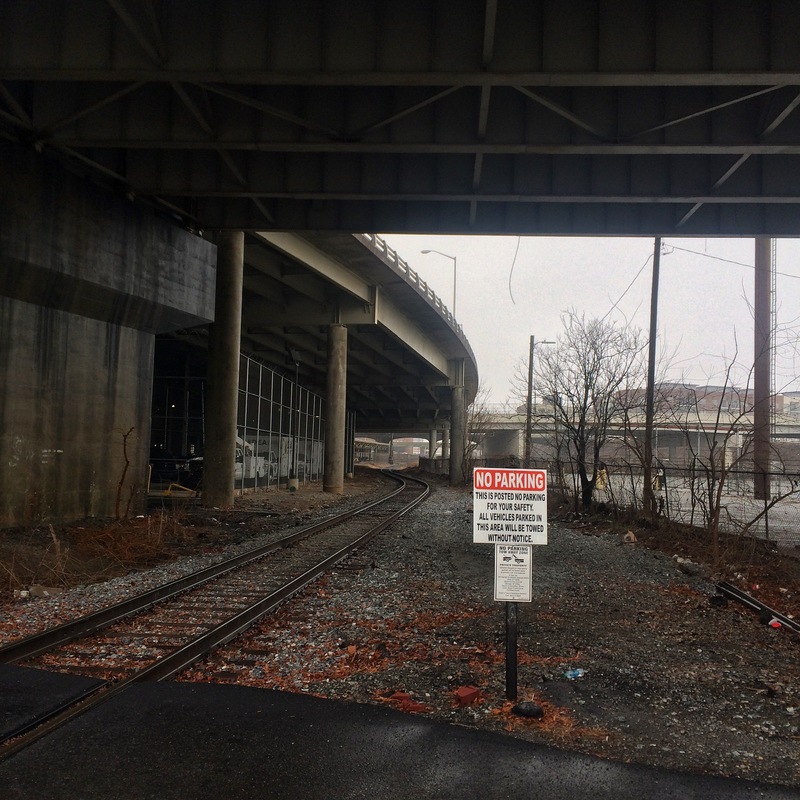 With basically no economic development west of the Connector back then to create traffic, I would use my lunch break to zip over to Inman and Tilford yards, Howell junction, the Marietta artery, sometimes all the way downtown. Or all the way west to the Chattahoochee. I moved locations, I got busy with other stuff, I gave my last scanner away to some wacky college kids (ahem). Only in 2014, when I started to make the trek to public outdoor shooting ranges (a subject for a different post) and subsequently started exploring the lesser known rural highways of Georgia did I feel the rails calling again. 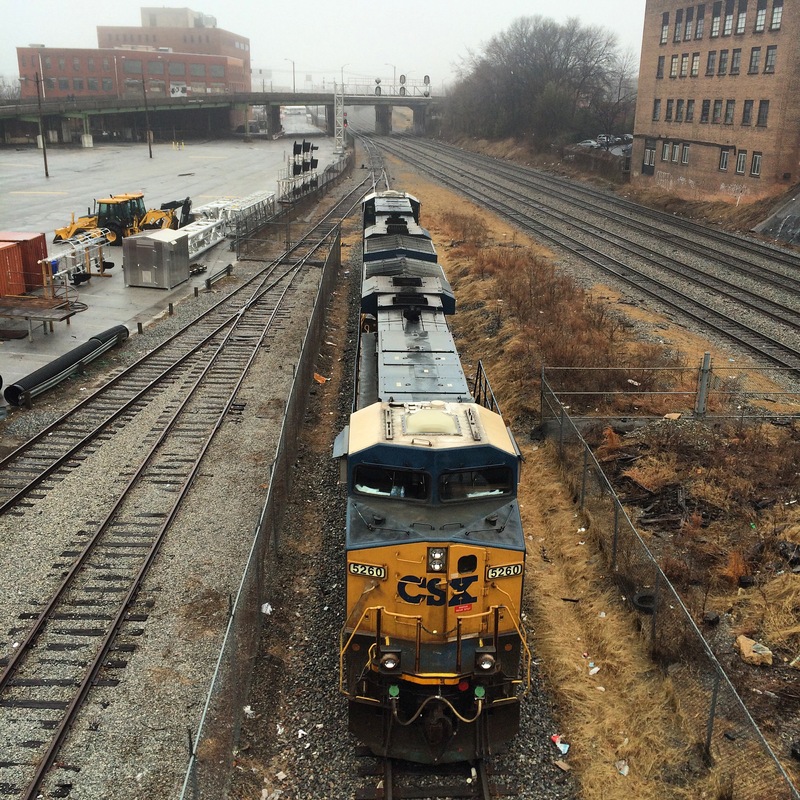 So in 2015 I have purchased a new scanner and am refamiliarizing myself with where one can get close to the tracks. This is not always easy in a city that grows as rapidly as Atlanta. 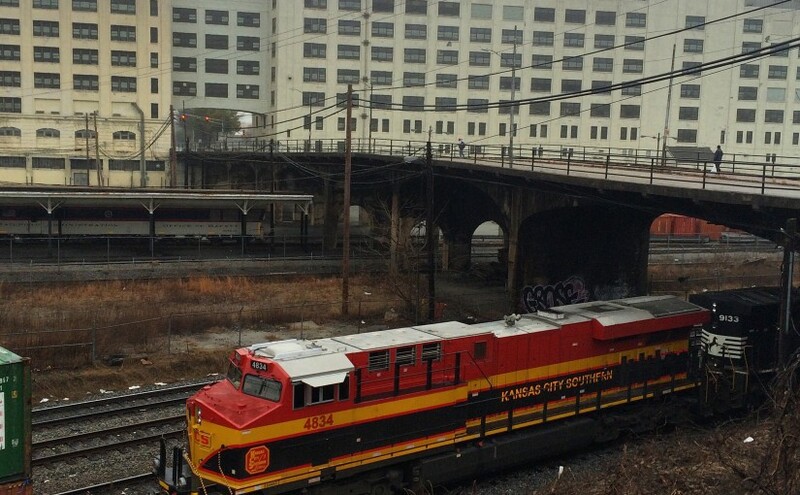 Locations where you can get a good view of trains, with nearby parking, and without having to trespass (much) are not as common as one would like. So this is a series of posts describing places to see trains. If anything below is incorrect, please someone point it out. Before beginning, here is a general overview of the Atlanta area so I don’t have to write one myself. The former Southern Railway building (actually collection of interconnected buildings) downtown on Spring Street has been vacated since the mid-2000s, when Norfolk Southern moved their Atlanta offices to midtown on Peachtree Street. 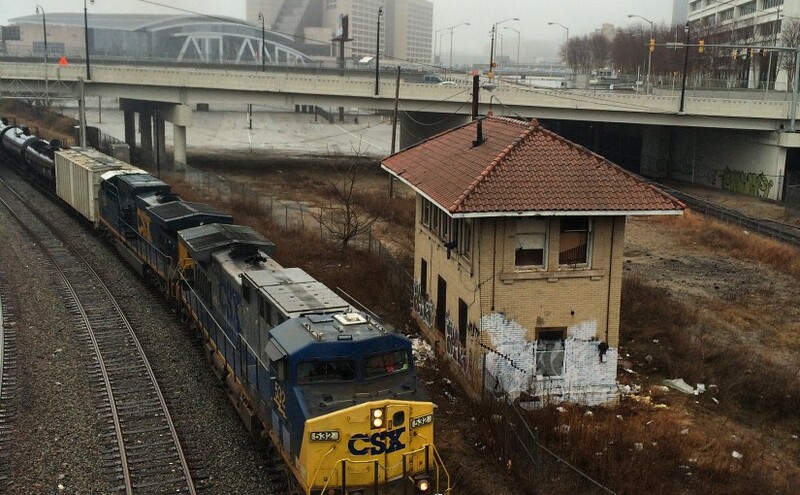 As far as I am aware it has not been sold and is still owned by the railroad, although one of the entrances I saw has the Atlanta police logo on it, I do not believe it is actually owned by the city. 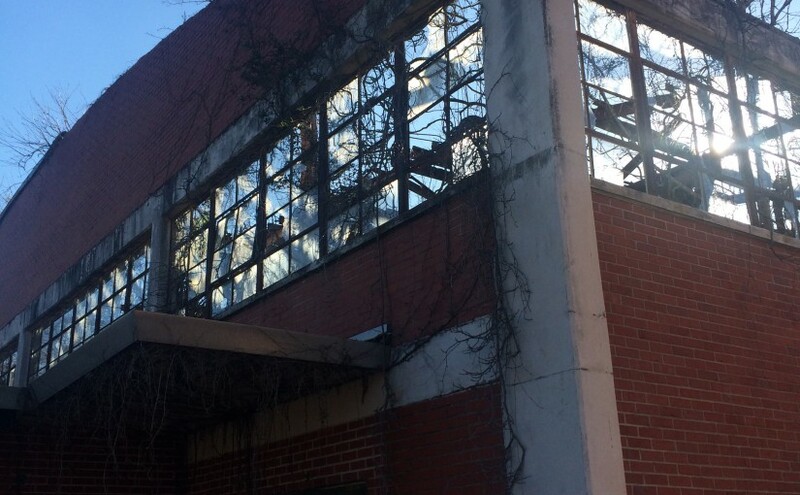 The building has been used as a filming location for The Walking Dead. The bridge that crosses the tracks here is the bridge that Rick rode over on horseback in the first (or a very early) episode. The roof of one of the buildings was the setting for some important scenes early in the first season. I have not watched the show past the 2nd season so I do not know if they returned here or not. There is a nearby tour bus business called “Atlanta movie tours” that I think is focused on TWD fandom. The nominal location for at least one NS building is “125 Spring Street Southwest, 30303“. There are parking spaces in front of the building itself, but they bear prominent “you gonna get towed” signs. I am not sure how long you could get away with ignoring them. There is pay parking across Spring Street, but it is probably not worth it. 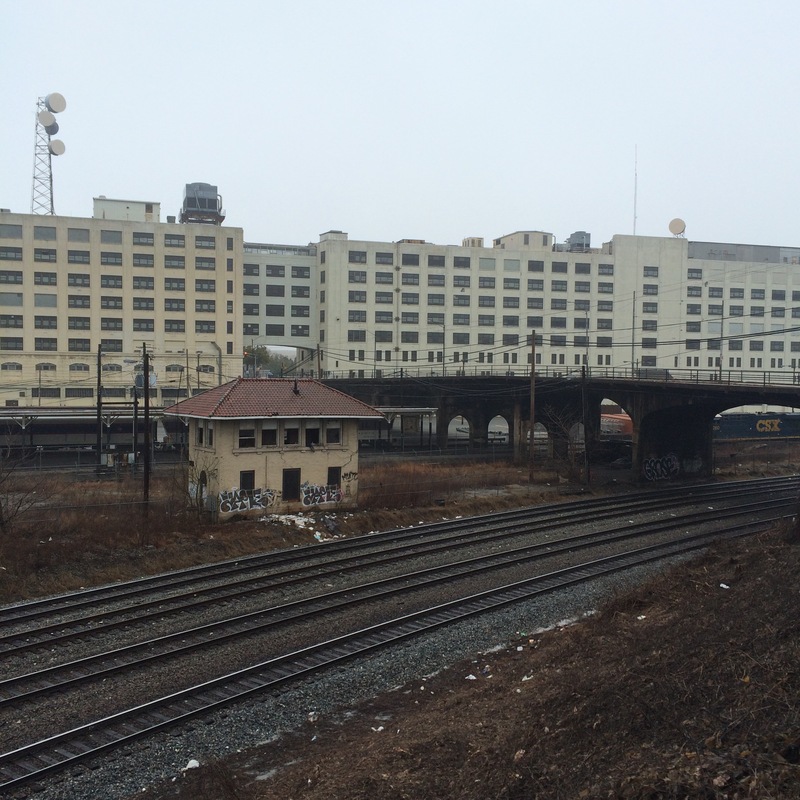 Nelson Street passes through the buildings, and crosses the railroad tracks behind on an elevated overpass. This overpass has been relegated to pedestrian only traffic, and when you walk on it you will immediately see why, the pavement is in bad shape and there are cracks that you can see through all the way down. You should probably be able to find free on-street parking on the other side of the bridge.. unless there is a major event going on at Phillips Arena or the Georgia Dome, in which case you are just screwed for parking and you should go watch trains someplace else. A good location to plug into Apple/Google mapping apps to get directions to a street you might actually be able park on is Smoke Ring BBQ, at 309 Nelson St SW, 30313. 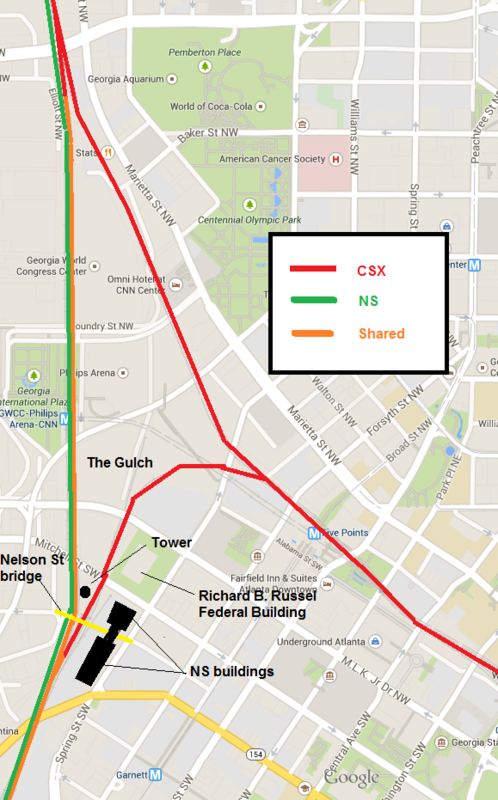 Three MARTA stations are nearby, as seen on the map. 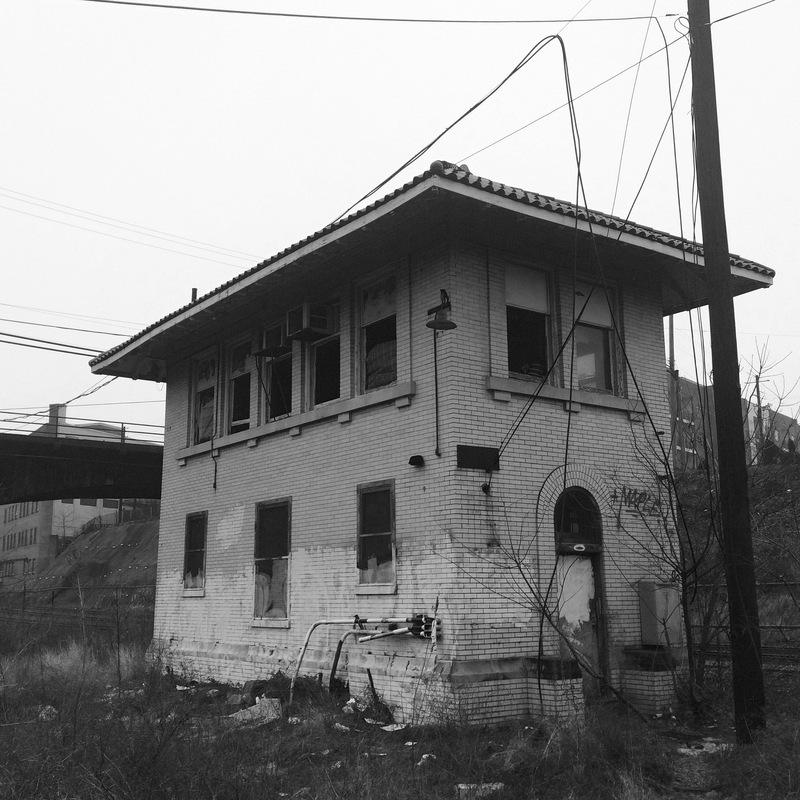 The Garnett Station formerly announced “Norfolk Southern” was one of the destinations at that stop. 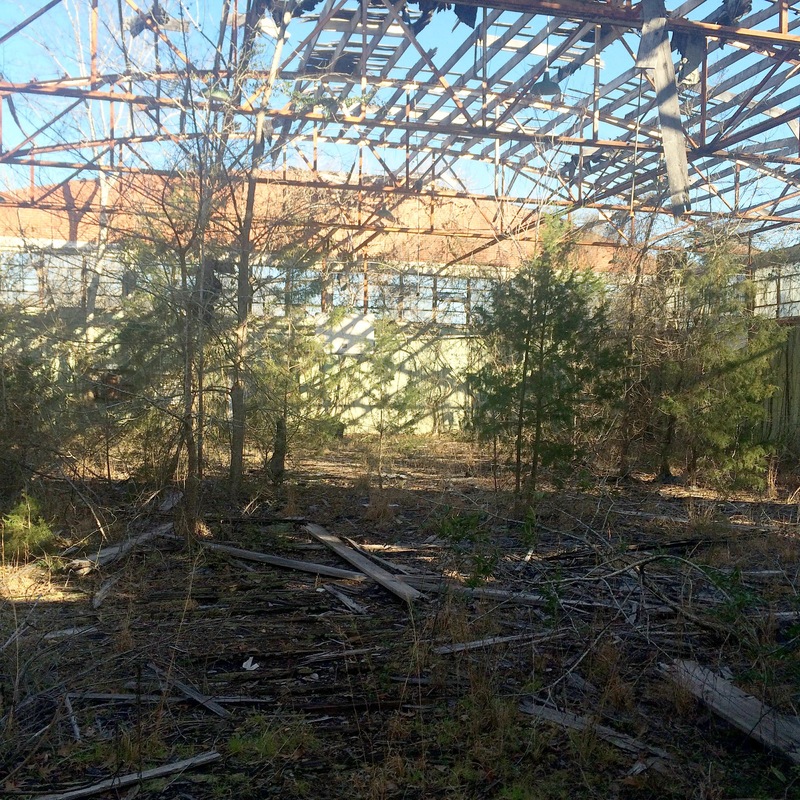 The first photo here is a view of the “back” of the building from across the railroad tracks. The bridge shown is the pedestrian Nelson Street. 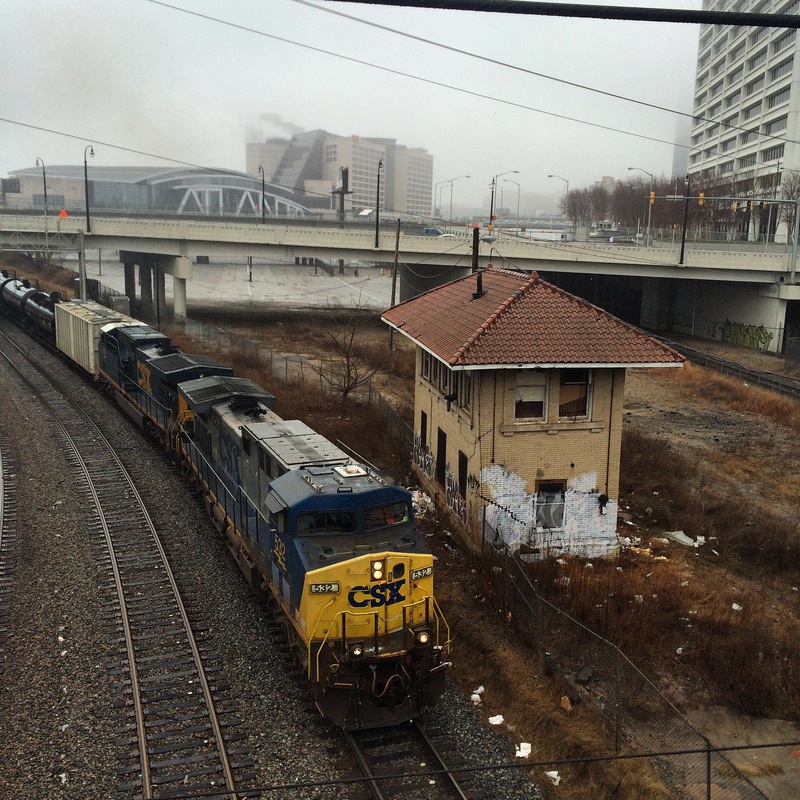 The small building down in the gulch next to the tracks is the Spring Interlocking Tower. This is one of very few remaining such towers anywhere, and almost certainly the only one in the metro area. I think the two tracks nearest the camera here are Norfolk Southern and two beyond are used by both NS and CSX (I believe owned by NS). 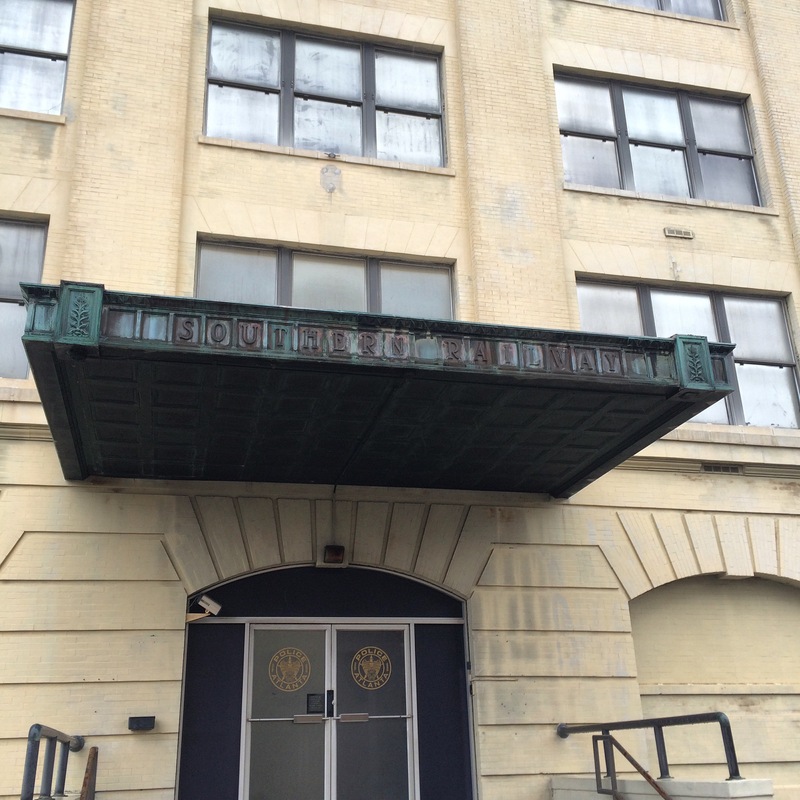 This is the front entrance to 125 Spring Street, showing both the “Southern Railway” name and the aforementioned “Atlanta Police”. This is taken from the Mitchell Street bridge which runs just north of the complex, which unlike Nelson is open to vehicular traffic. This train was idling here the entire time I was there. The cars are from the Federal Railway Agency. 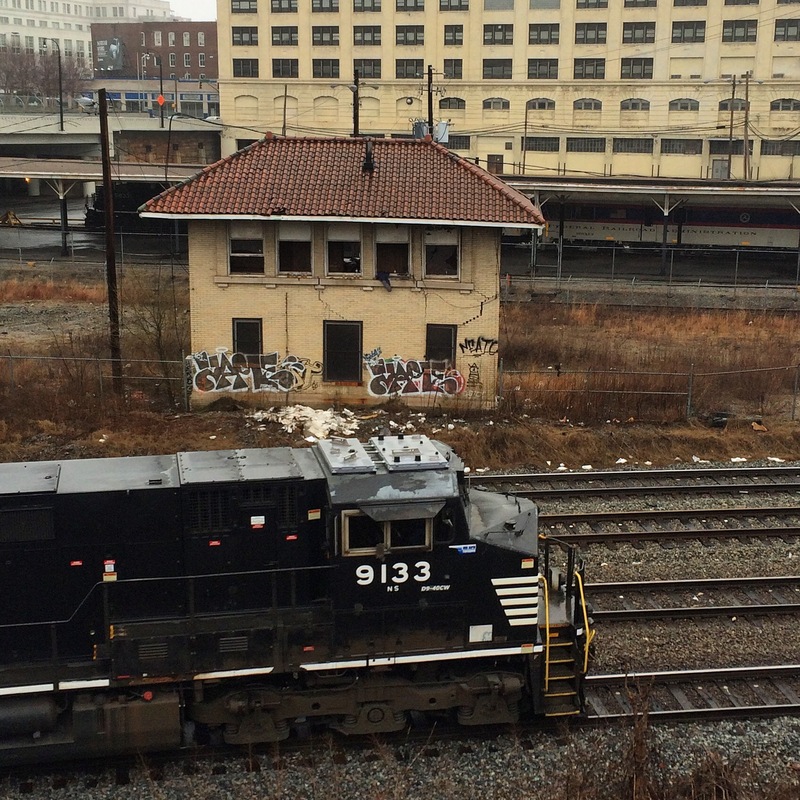 The structure behind the train that looks like a passenger platform is exactly that, a reminder of the long-demolished Terminal Station. 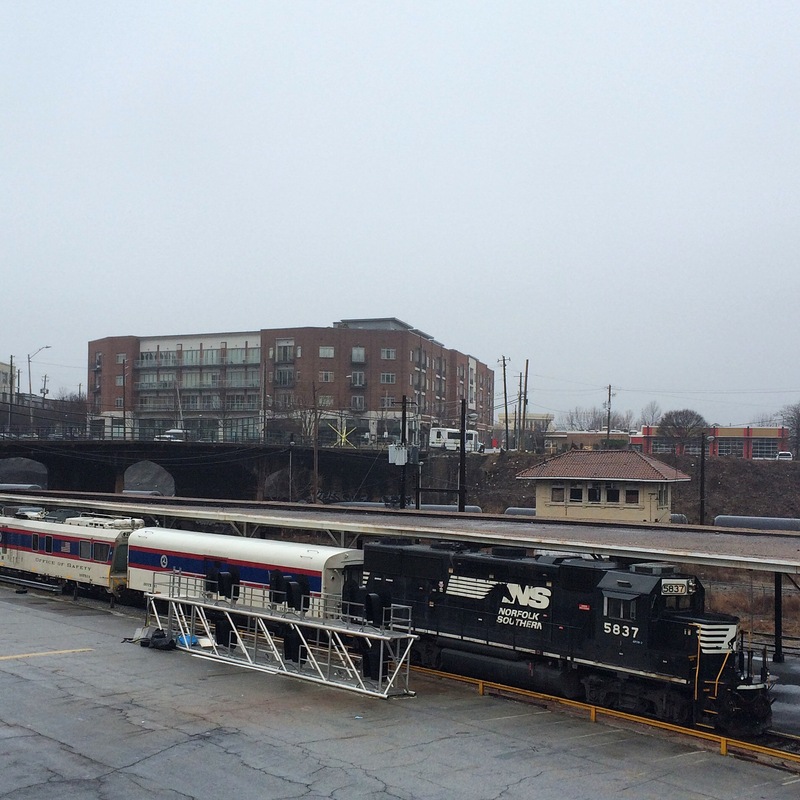 Here, not the current Amtrak station on Peachtree, is where Southern operated its intercity passenger trains. 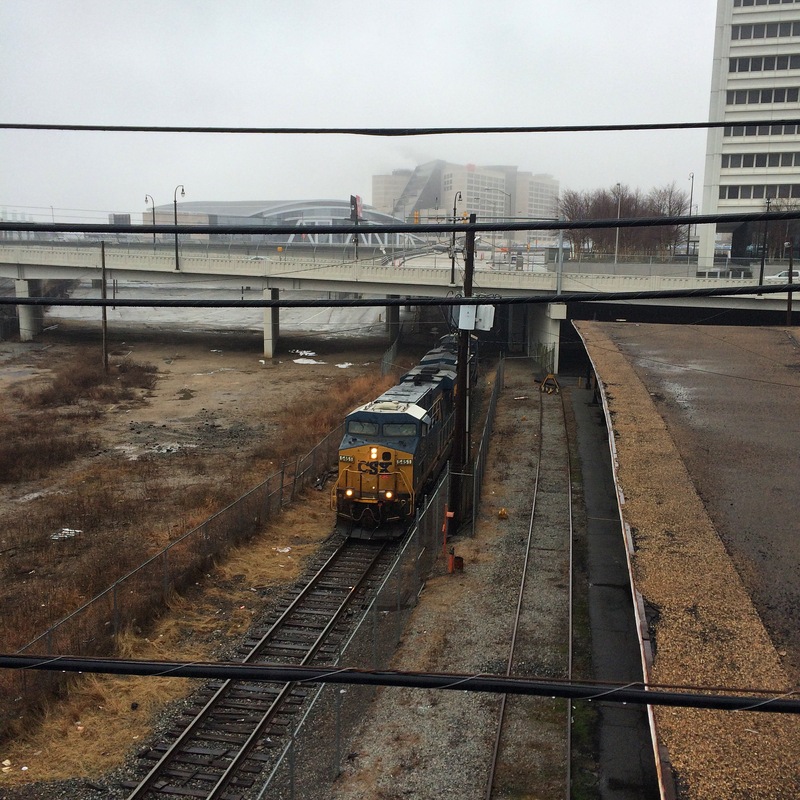 This was a CSX power move of two locos that came down from the direction of Hulsey Yard (the bridge it is emerging from under is Mitchell Street) and then sat idling the rest of the time I was there. The tall white building on the right is the Richard B. Russell Federal Building. In the parking deck under it there are spaces marked “FBI Parking Only”, and a scary number of vehicles labelled with various other three-letter government agencies. 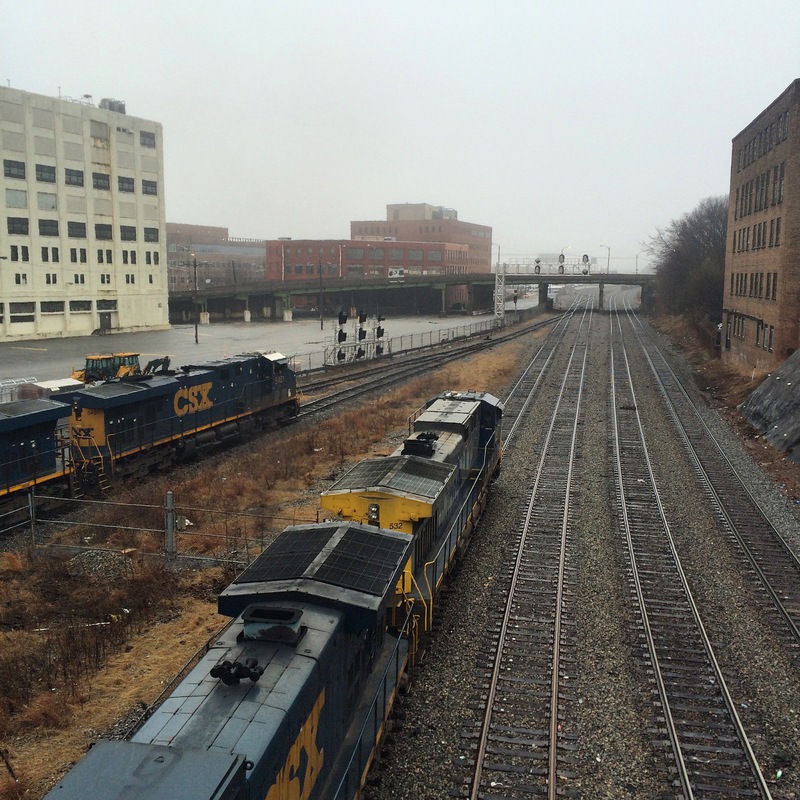 These photos show a soundbound CSX train as it passes under the Nelson Street bridge. The first is looking north, the second looking south. Note the two locos sitting to the right in the 2nd photo. 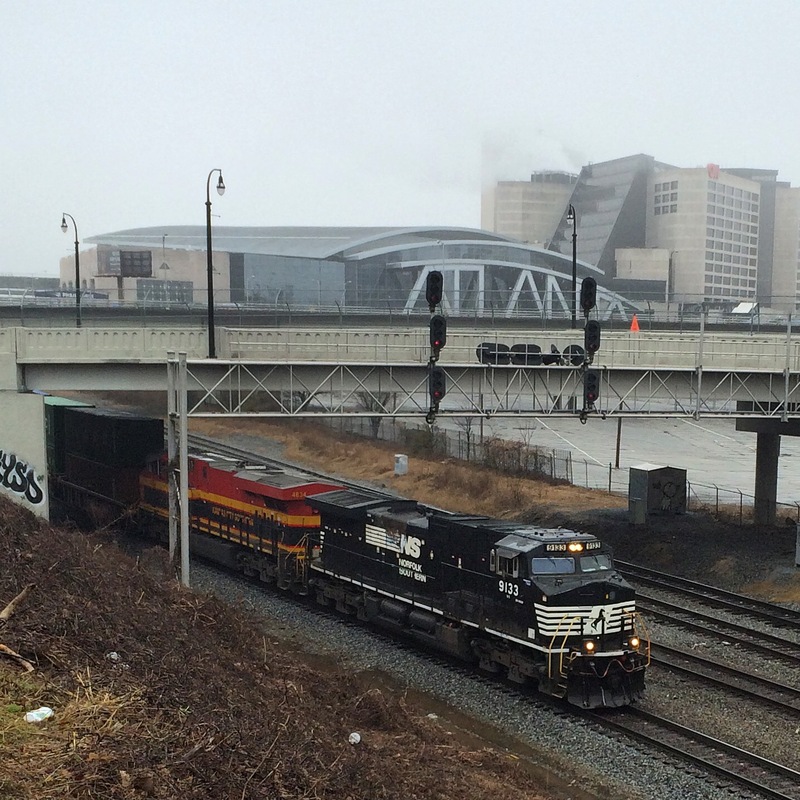 This is an NS train, seen from the other side of the gulch. These next photos are taken down in the gulch. I was able to get down there by driving through the Phillips Arena parking lot. The first photo shows the crossing of a CSX line (the same line that the two locomotives were on) that is inside the parking area, which I found notable because of the lack of “railroad crossing” signs (even the normal “private railroad crossing” usually seen). The other two are of the tower. As some of you may have heard me remark, I have driven from Atlanta to Mobile so many times that I will go to great lengths to avoid the normal I-85/I-65 route and get some variety. This time I went to Tuscaloosa on Friday, spent the night and Saturday morning there, and headed south in the afternoon. AL 69 to Greensboro, then AL 25 down to AL 5, which very shortly leads to US 43, which takes you all the way to I-65 north of Mobile. The 25 stretch is the most rural. It is almost nothing but farmland alternating with the manmade lakes where catfish are raised. The towns along the way are tiny, one traffic light (if that) affairs. The kind of places that have feed and seed stores. The kind of places where the main road in the middle of town has a passive railroad crossing with no lights or swinging gate arms. In Thomaston a sign proclaiming “Eat Pepper Jelly!” caught my eye. 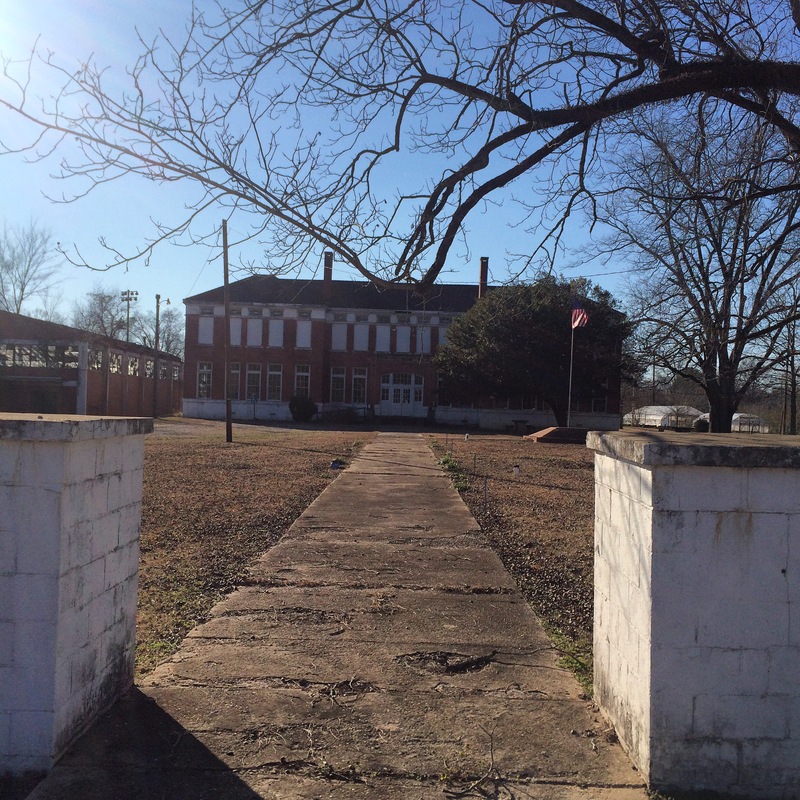 Smaller signs indicated the “Alabama Rural Heritage Center” was nearby. I know now the center was closed (it’s Saturday hours are only 10-1), but it would not have mattered anyway because I was too clueless to realize which building it was in. Instead I thought the signs were directing me to a large old building that once I got up to it, turned out to be an abandoned high school. 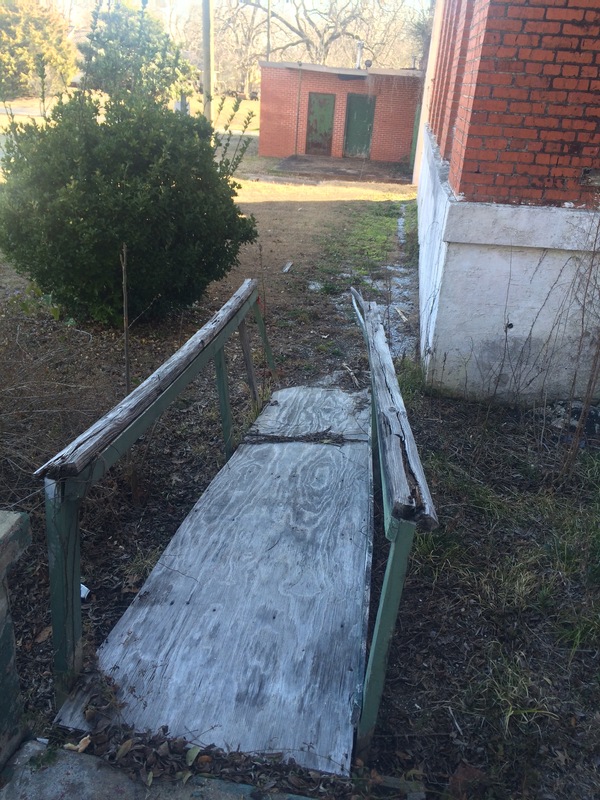 The doors were padlocked, the window glass was broken, and the wooden wheelchair ramp was rotting. Clearly this place has been unused for some time, although the mere presence of such a ramp showed it had probably still been in use in the 1990s. I was at this point still confused thinking this was the heritage center, which I imagined as some kind of museum. Signs had promised a gift shop at least, and pepper jelly. 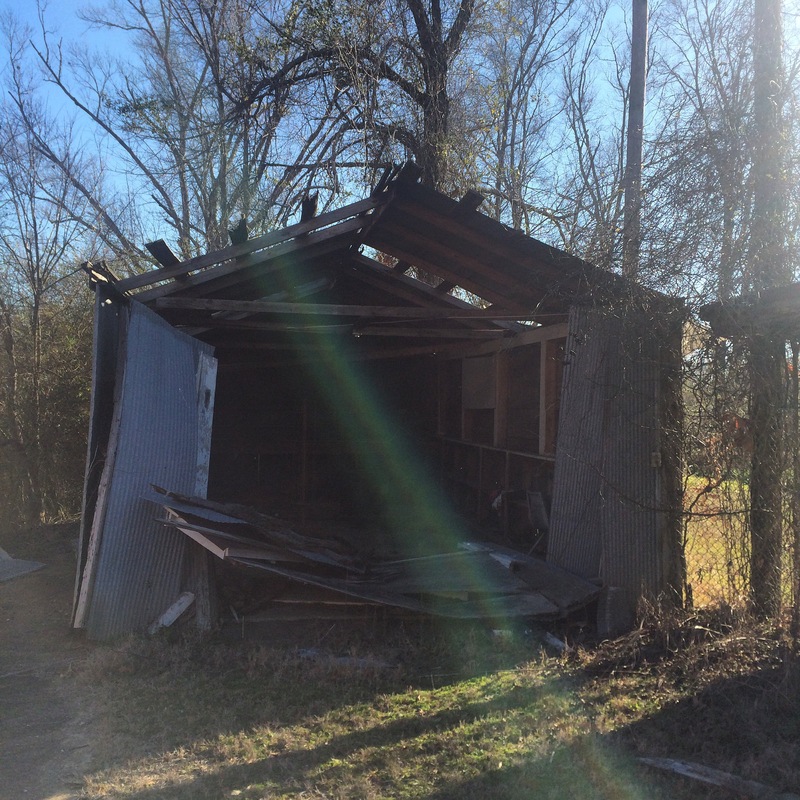 Yet here it was, abandoned and decaying. 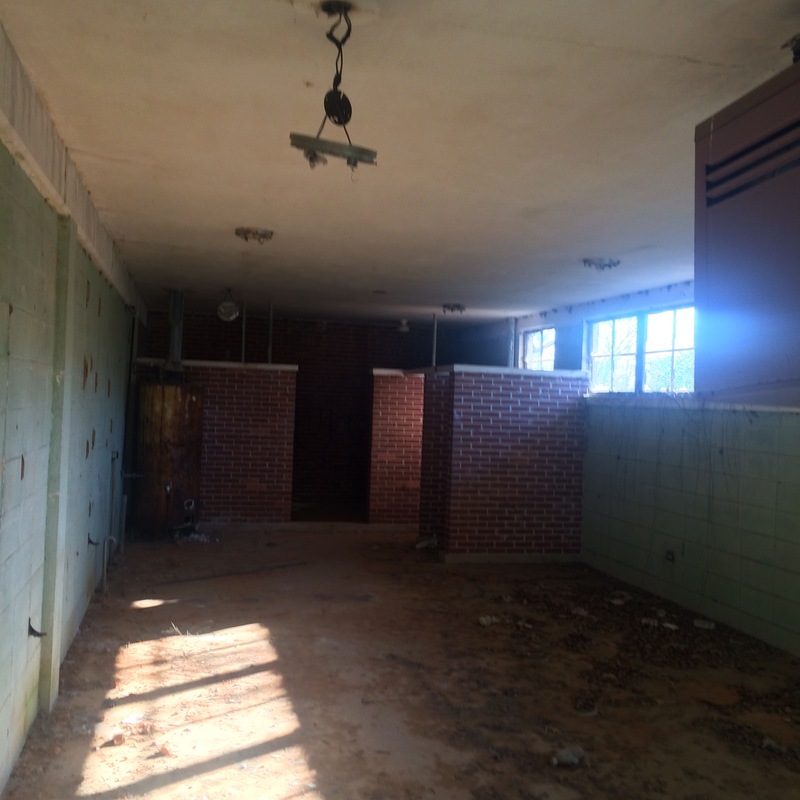 The gym was in even worse shape than the main building. Trees were growing out of its roof. The ground around these buildings was not overgrown, indicating it is still cared for. A flag was loudly flapping atop the school’s flagpole, which presumably someone had to raise and lower. I decided to walk around between the school and its gym. Behind the gym the tattered tin roof of an old shed was groaning in the breeze, metal scraping against metal with each gust of wind. The back door to the gym was off its hinges, so I went inside to take pictures. 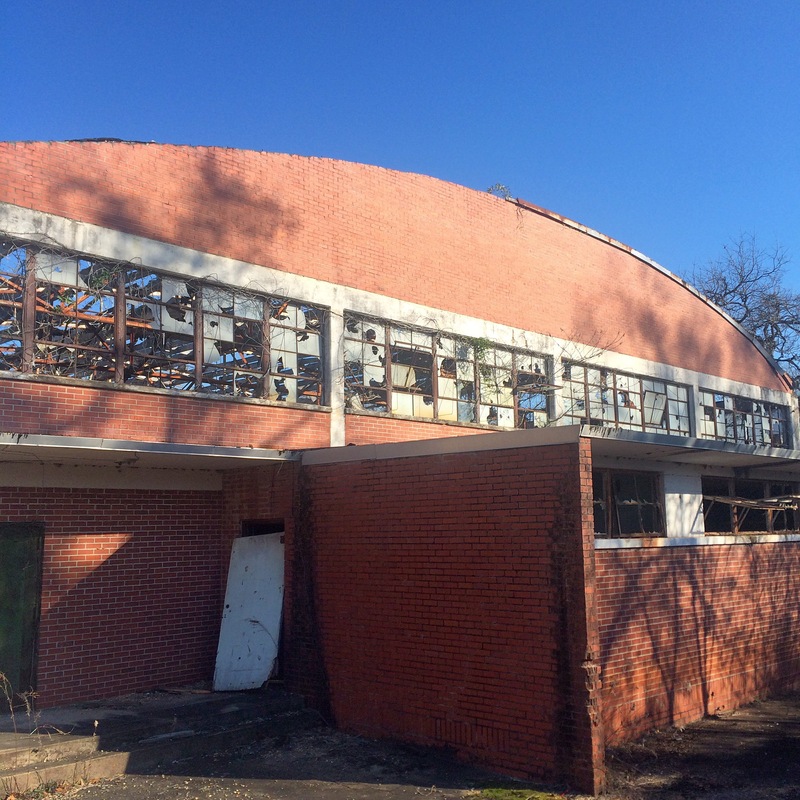 The main roof was gone except for its skeletal ribs, the sun shining in fueling plant growth in what had presumably once been the basketball court and the scene of many a prom and homecoming dance. Nice touch for Valentine’s Day. 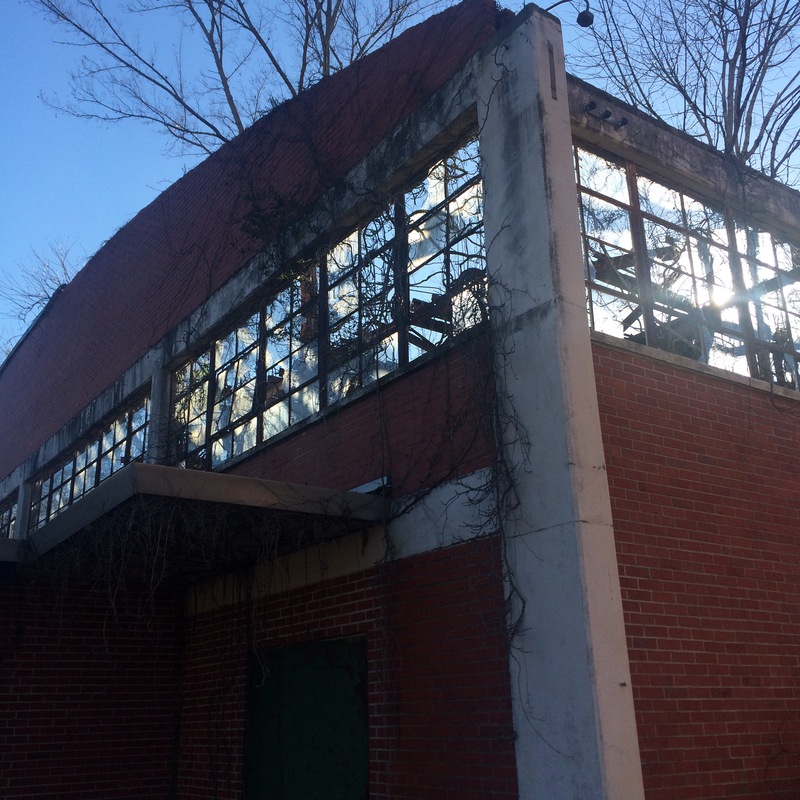 The actual heritage center turned out to be in a renovated outbuilding on the side of the school opposite the gym, actually closer to the Pepper Jelly sign. But like I said it was closed. No pepper jelly today. I am about to start dabbling in the tour guide business. For a small fee (tbd), I will take a carload of site-seekers on a driving and walking tour of the greatest city of the modern south. Tours will be conducted only with pre-arrangement, and will need to fit around my work and life schedule. Ads are going to be placed on Craiglist and other places. I don’t expect to make much money. I might get rolled. But it should be interesting. The tours will cover overlapping areas. For example, more than one will include downtown, but each tour will have a unique emphasis. The ECD, little known and little remarked upon, is actually one of the important natural features of the area. 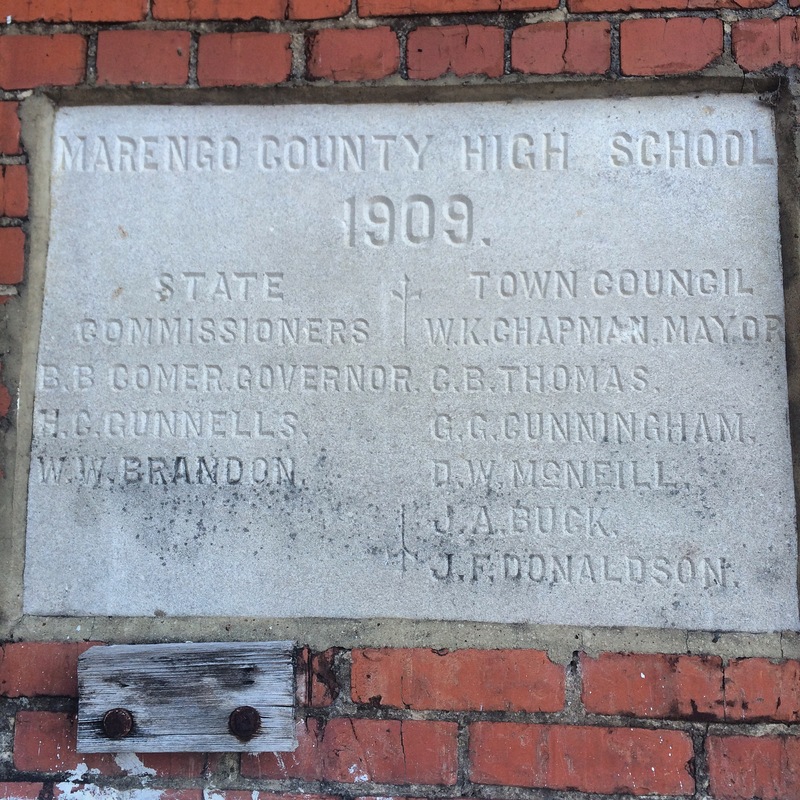 This tour will follow the divide and include my ramblings about history and the areas through which it passes. 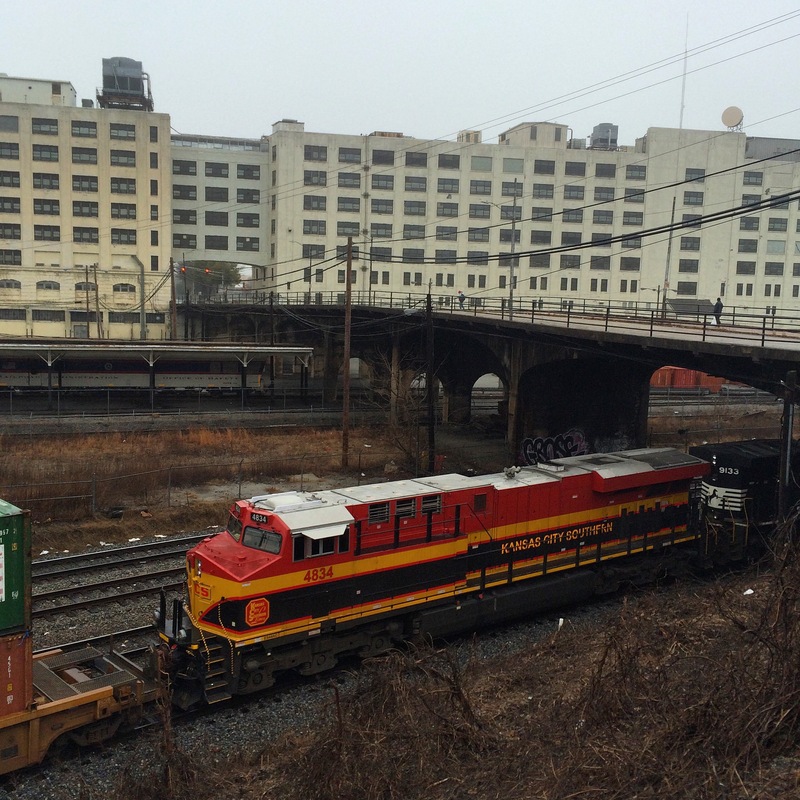 This tour emphasizes railroad history and trivia. Portions will take place on MARTA trains, for which the fare is not included in the tour price. Combined walking and driving tour, will visit many of the Intown neighborhoods that have bounced back from urban decay to affluence, or at least hipness. Driving tour with multiple stops at local businesses.